It's the last day of E3 and Miguel has been able to record some gameplay footage of many Ubisoft games. 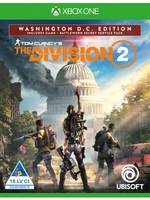 Let's start with Tom Clancy's The Division 2 in its PC version, running at 60 frames per second in 4K. Update 3: Fourth video added. Did you notice them Miguel? mechanically it looks identical, i was hoping they'd have incorporated stealth options or something to add some much needed variety. maybe doesn't fit in with the MMO-ness of it all, but i just found the first game mind numbingly boring to play when every single aspect of it's gameplay was just "cover>shoot". the bullet sponge enemies didn't help either. and when everything is so grounded it's hard to get excited by another identical scar-h assault rifle with marginally better stats. 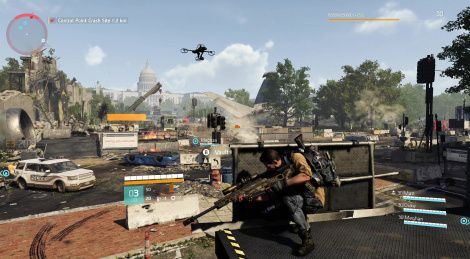 even if they incorporated players into the main city so you could fight side by side during the random "encounters" it would help make the world feel more alive and interesting to explore. instead it's dead. just a vast expanse of repetitive objectives. so hopefully they've done that this time around at the very least. it did look amazing though. the volumetrics are great and make for some really nice depictions of stormy snowy weather. maybe even the best i've seen. but it's one of the most boring thing's i've ever played.